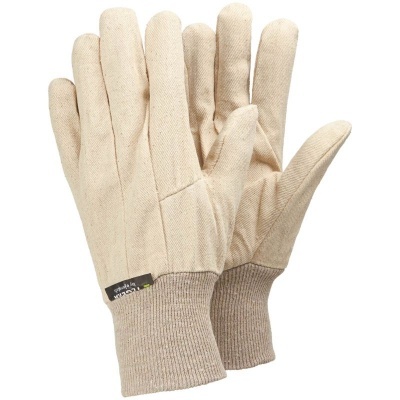 For fine handling tasks, such as service industry work, you will need gloves that are flexible and comfortable to wear even for a longer period of time. The Ejendals Tegera 9250 All Round Work Gloves are soft-fitting cotton gloves with excellent fingertip sensitivity that protect your hands from blisters and contact with dirt. The 9250 All Round Work Gloves are designated Category I gloves, which means they are gloves of simple design, suitable for minimal risk only. Most often they are used for cleaning and protection against warm objects when the temperature does not exceed 50°C. The Tegera 9250 All Round Work Gloves are available in two sizes that should suit the hands of most users. Please measure the circumference of your hand around the knuckles (excluding the thumb) with your hand open and your fingers together, and the length of your hand from the tip of your middle finger to your wrist.